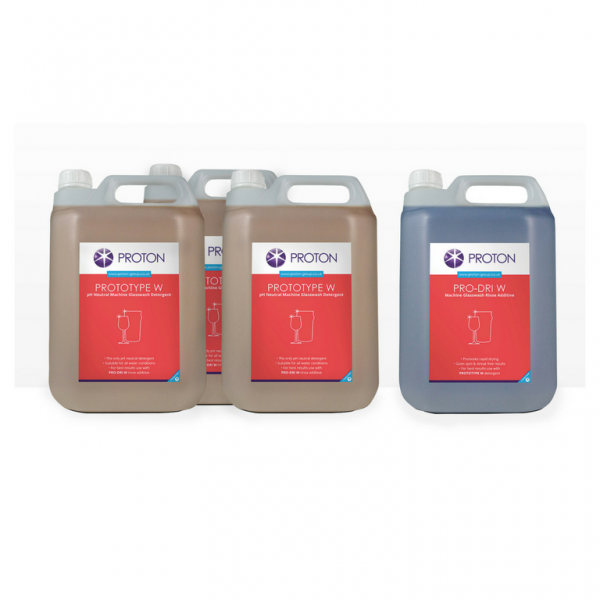 Glasswash Combi Pack Gold is especially formulated for use in hard or very hard water areas and is an easier and more cost effective way to order your glasswash detergent and corresponding rinse aid. The combi pack contains 3 bottles of Prototype W detergent and 1 bottle of Pro Dri W Rinse Aid. 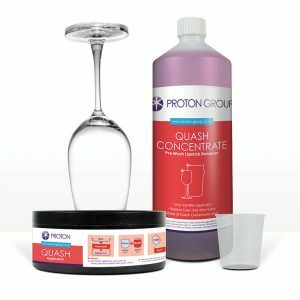 Prototype W and Pro Dri W provide safer handling of chemicals, are both Ph neutral and will leave glasseware sparkling clean with enhanced head stability. If you are located in an area of soft to normal water hardness, you should try Glasswash Combi Pack Silver. A Glasswashing detergent for auto dosing glasswash machines, that is free from caustic soda and pH neutral for safer handling. 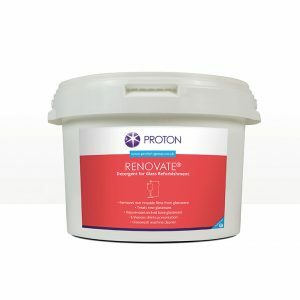 Designed to be used in Conjunction with Proton Pro-Dri W Rinse Aid for a complete Glasswashing program. Prototype W suitable for all water conditions including those with high water hardness. 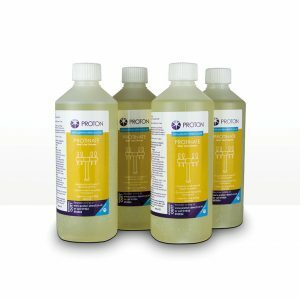 Pro-Dri W is a Rinse Aid developed to work in conjunction with Prototype W, suitable for all water conditions including soft and very hard. It promotes rapid drying with a crisp streak free shine and no aftertaste, leaving glasses sparkling clean and giving enhanced head stability and lacing on beers and lagers. Pro-Dri W is the perfect solution for any estate that wants to be kinder to glassware but retain a superior clean.